On July 13, 2011 we brought much needed baby formula and other necessities to the Mai Am An Dao Orphanage in Ninh Hoa. Previous donor Ai-Shan Curry of Seattle, Washington got in touch with us recently. She said that her friend, Siney Gu, wanted to help the kids at Mai Am An Dao, and made a generous donation to our website. We called Sister An Son, and she told us that they were desperately short on baby formula. Other needs included sugar, laundry detergent, shampoo, etc. We made the purchases, and on Wednesday, July 13, our close friend Nhan made the drive up to Ninh Hoa. Just moments before he arrived, Sister An Son later told us that she had been looking in their pantry, worrying about how she was going to be able to find baby formula for the orphans. 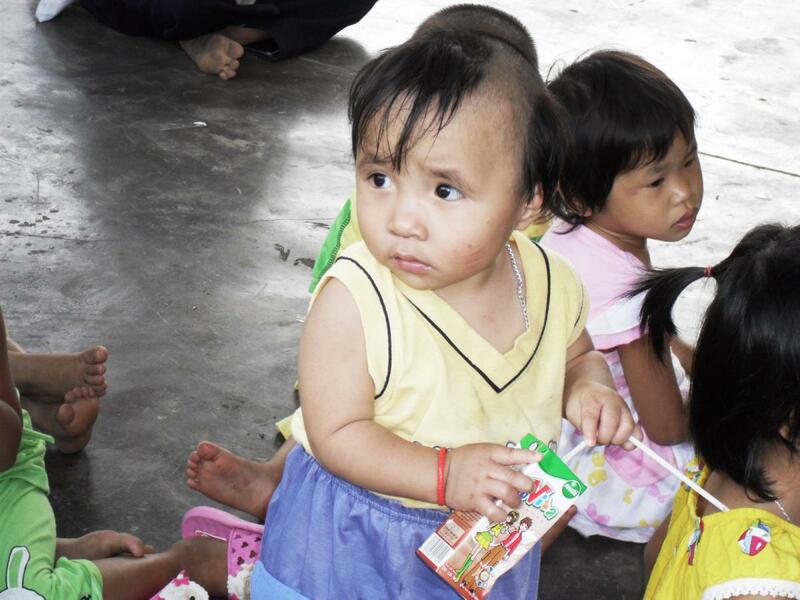 When Nhan walked through the orphanage door carrying a bounty of formula, Sister An Son said it felt like a miracle! Thank you Siney for your generous donation! It made an immediate impact on the lives of these small children. And thank you once again to Ai-Shan, whose generous heart known no bounds.